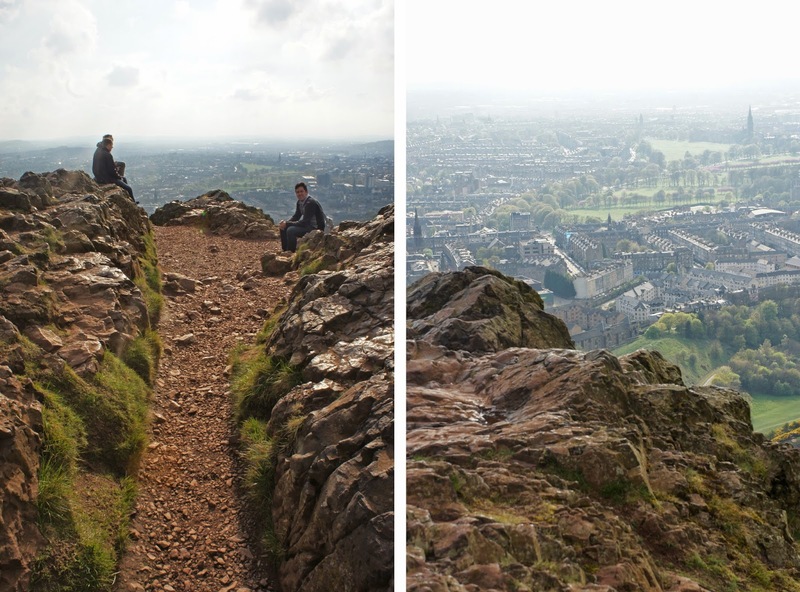 Hiking up Arthur's Seat in Edinburgh last month was...a learning exercise. I learned that my husband is infinitely patient. While I whined and cried and cursed my way up those 230 vertical meters he took it all in stride (literally and metaphorically). I learned that I'm getting old. My feet are still sore, and it's been four weeks since I climbed that #(@*# hill. 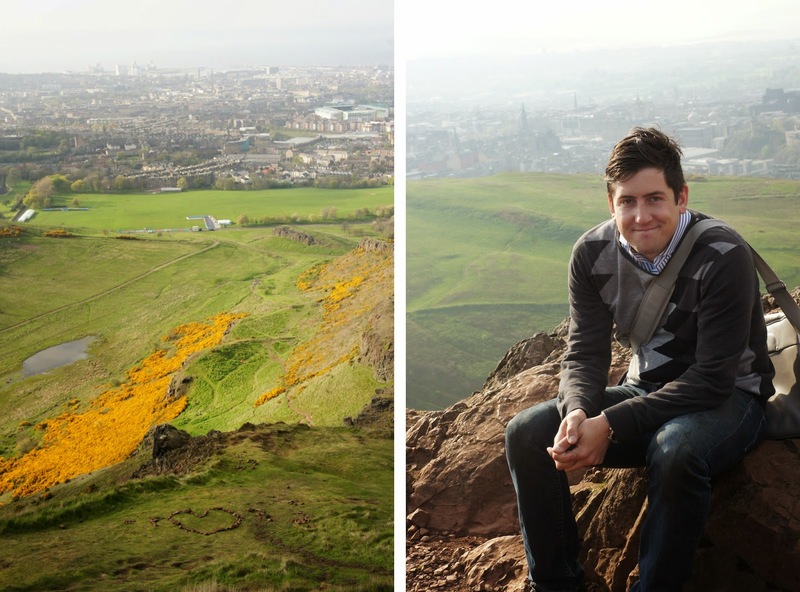 I learned that dogs in Edinburgh are super duper friendly and love the grass and wild bunnies on Arthur's Seat as much as I do. 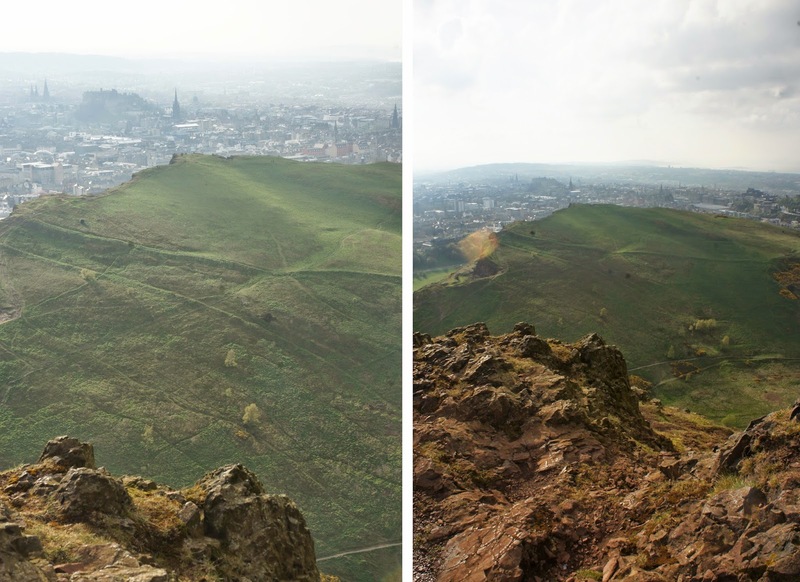 I learned, while giving an iPhone panoramic photo tutorial to an older gentleman at the top of this, that Scots are really genuinely lovely and kind. Cheers to the weekend ahead! Wow! What a hill, or should I say mountain. I'm a whinger too, especially on hills that size. Congratulations!